Here at The Landmark Apartment Homes we strive to provide simple luxury to those seeking quality apartment living in the Sunnyvale area. 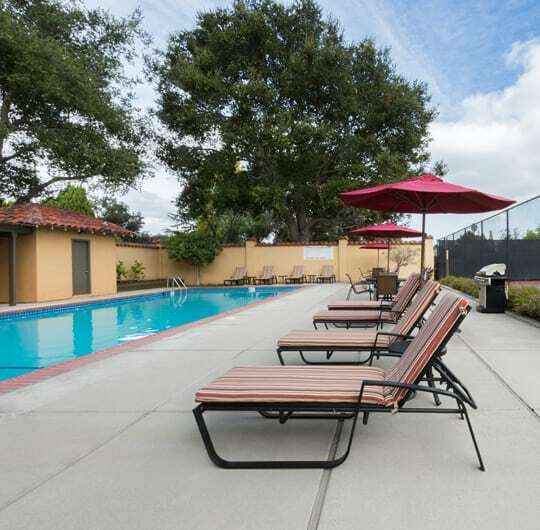 From our sparkling resort-style swimming pool and therapeutic spa, to our beautifully landscaped grounds, we've let no detail go unnoticed in our Sunnyvale apartments. Once you step inside our upscale apartment homes you'll immediately appreciate the simple, yet modern and upscale accents.